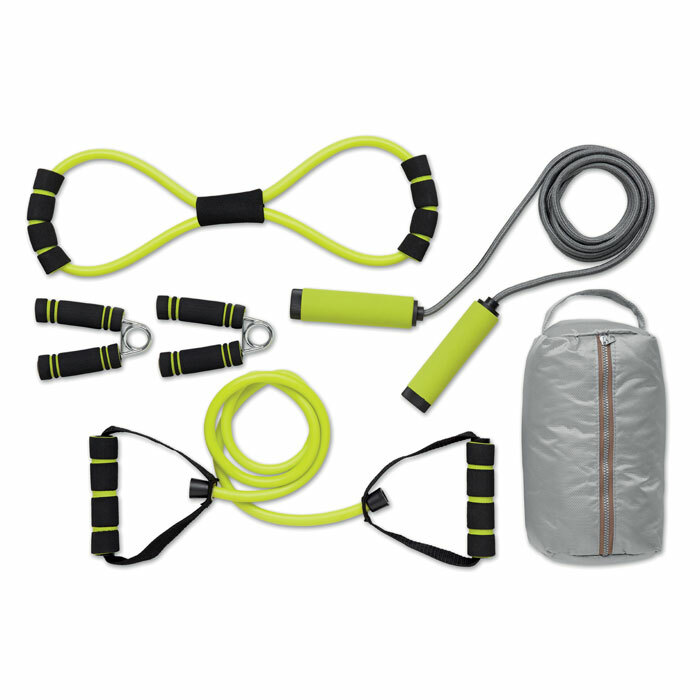 Fitness Set - Express Corporate - Promotional Products - Delivered Fast! 5 pieces fitness set in pouch made of PVC phthalate free with cushioned handles. Includes jump rope, resistance tube, expander and 2 handgrips.